The water temperatures are unusually cooler right now and that has really slowed some of the prime inshore fishing down. The snook at Sebastian re slow to take a bait during the day and seem to be more active on the night time tides. Plugging from the rocks with wind cheaters and bucktails will be the least work in the cooler conditions. As the water warms up and the winds die down use bait fish and shrimp during the day to land a few slot size snook and redfish from the piers. Live baits cast off the jetties and weighted with a light split shot or egg weight will place the bait right in harms way for that hungry snook. Expect to see catches of redfish, bluefish, Spanish mackerel, jacks, sheepshead, black drum and even a few flounder. The larger over-sized redfish have been a blast for pier anglers casting large 2-3oz. silver spoons out into the tide lines. 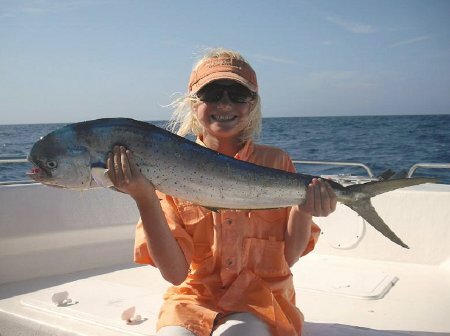 Spoons and smaller diamond jigs seem to be a favorite when it comes to bluefish and Spanish mackerel that are working the beaches and piers at Sebastian Inlet. The surf has been rough due to N-NE winds and the larger schools of pompano have moved south past us and most of the local pompan catches have been smaller fish. Look for the legal sized pompano to bite as the surf becomes calm again. The beaches south of Sebastian Inlet have been good lately, but that can change at any point. Expect to catch some small whiting, jacks, sheepshead and a few black drum from the sand. Sandfleas have been spread out in the surf and may take some time to locate, so when they are showing take that opportunity to rake extra for a few days of fishing. While the water conditions are dirty, look to clams for that extra scent in the water to get the attention of a passersby. Offshore has been good for a few who are trying their luck at trolling the cones and deeper blue water close to the Gulf Stream. The end of the cooler months is a good time to work the deeper structures for some high speed wahoo action. To target the wahoo, drop a few heavy deep running lures back in your spread and kick up your RPM's a few notches. The increased speed of the lures whizzing by will trigger an instinctive bite by most wahoo. Several good catches of mahi have also been brought back to the docks while working the cones for wahoo. Most of the mahi are ranging from 10lbs. Up to 30+lbs. There are still a few sailfish hanging out deep along the weed lines and temperature breaks. Dropping the baits down to the bottom is a favorite of mine this time of year. Red snapper bites have been holding strong with most of the fish coming up on the legal side of the ruler. Try tying on a double hooked chicken rig with cut squid or shiny baits to see who is on the reef when you get there. 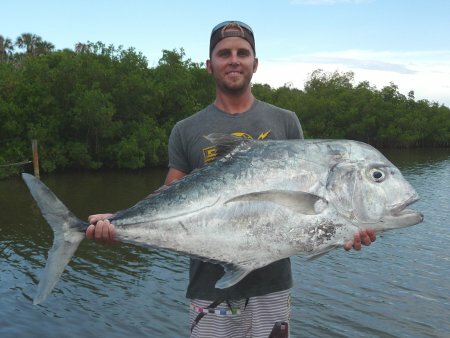 Good numbers of big trigger fish and sea bass have been biting the smaller squid baits. Look to hook up on the bigger “black belly” grouper on the deeper 90-180 ft ledges using live baits or dead sardines. After all the other catches this month, how could I not mention the monthly favorite, Cobia. Large pods of bait fish will start popping up several miles off the beaches and further offshore, playing host to some roaming cobia. Look for the nervous water or birds and take a look with a bucktail ready to see if a cobia might be around. Manta rays also make their way through our waters on a migration and provide ample cover for schools of cobia. Position the boat along side these huge rays and cast a bucktail in front of them, careful to give enough distance for the jig to sink under the ray and then work it back quickly to pull a few fish out and hopefully hook up. If you do hook up, try to apply enough pressure to keep the cobia from returning to the ray for cover. This will give you another shot at catching a few more fish off that manta ray with out spooking him. If you hook the manta ray in the wings or mouth, you can kiss it goodbye and game over for that one. He will sound on you and the cobia will take off too. That mistake is a humbling lesson in patience and precision casting. Better to cast too far in front of the ray, than hooking him. Stop by and sign up for our annual Cobia for Cash Tournament. The tournament is extended this year and will run from March 1 – April 30, which now gives anglers 2 months to catch the big one. Entry fee is $20 per person and you must be registered prior to fishing. All fish must be weighed in at Whitey's. Check out the rules and leader board online at www.whiteysonline.com for regular update s.